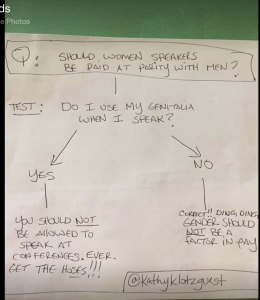 Just in case…if you know people that are confused, you can use this Flowchart for reference to help answer the question of paying women speakers equally. Hint: it shouldn’t be a question or issue. 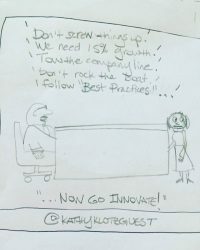 Do you have something funny you’d like me to draw or talk about? Let me know.